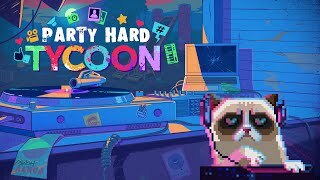 Developed by Pinokl Games and tinyBuild, Party Hard Tycoon is a simulation strategy video game, available for the Microsoft operating systems. It takes place in the Party Hard universe, a place where parties are life. 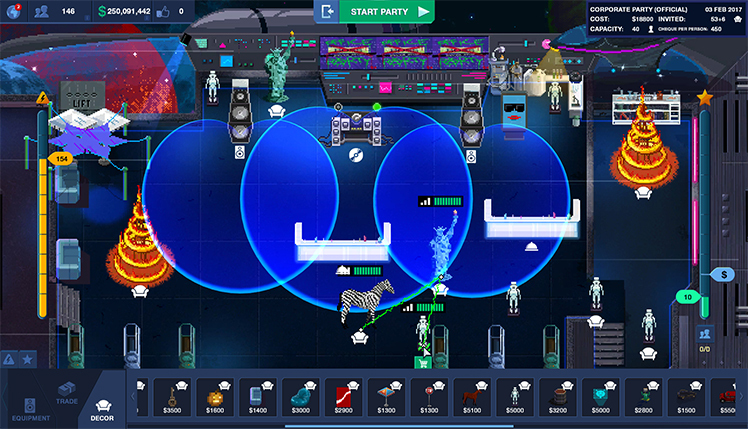 Plan the ultimate party and make more money at it than any other shindig ever in this early access game. Throw a raging retro reception or a medic mixer. There's no end to the possibilities with this tycoon creation video game. Customize the entertainment, the sound system, even the admission price. The party isn't all about what the planner likes, though. Guests will express enjoyment or disdain based on how cool the event is. The player must specifically gauge those reactions and change up the entertainment accordingly. Keep partygoers happy or risk losing all the cash they'll bring and spend. 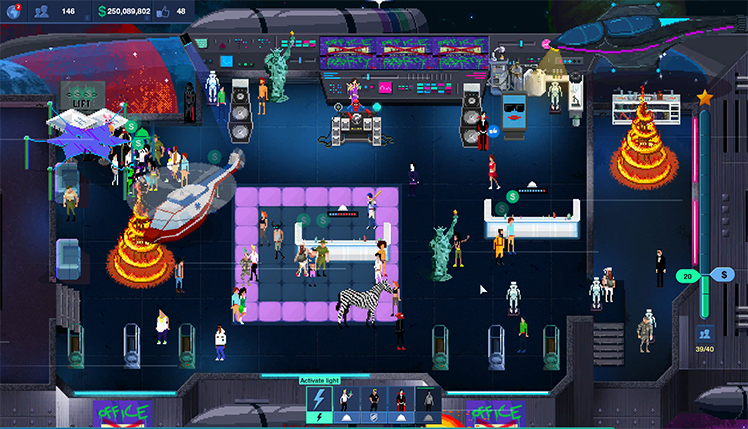 Party Hard Tycoon offers a lot even though it is still in early access. 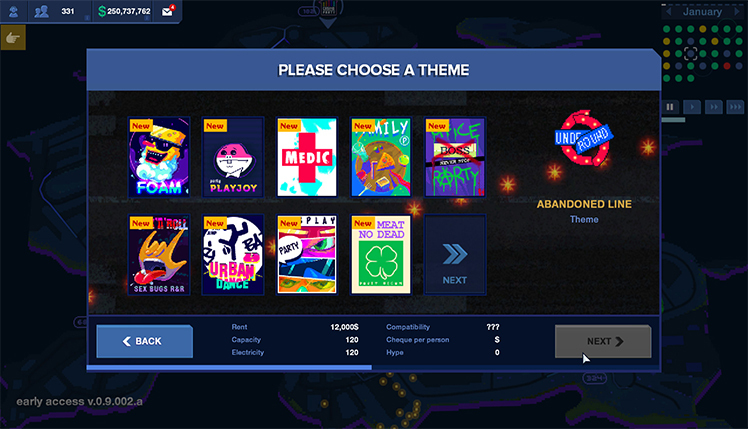 In addition to the themes that players choose from, there are also plenty of other things that need planning. Pick from a large cast of skilled contractors and hire them to help make the best party. There are lighting specialists, DJs, and even bouncers that ensure only the coolest are allowed in. The party setting is only the beginning. It's important that guests have everything they need. Furthermore, they'll be vocal about what they like or dislike. Make sure there's plenty of bathrooms and trash cans or expect humans to do what they do best: make a mess! 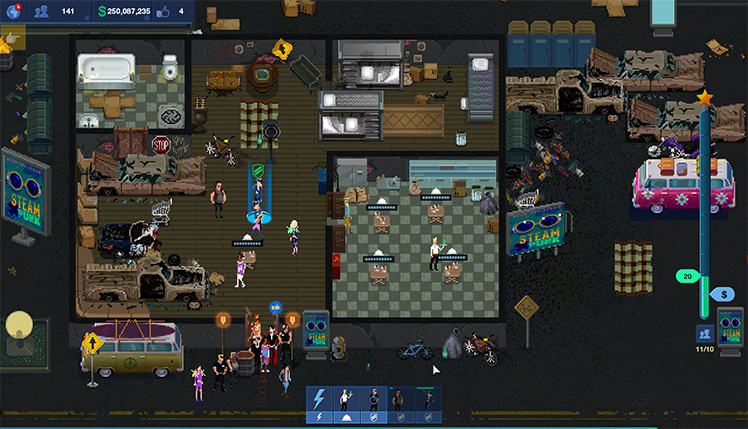 Players develop the scene from the ground up. It's easy using lighting and setting a stage or purchasing some smoke machines to run on a dance floor. Different themes benefit from a variety of things like glassware, attitude, and even what kind of booze is served. Will partygoers like the newest experimental beverage at the bar, or will it lose the party money? Another great addition is the randomized events that players occasionally encounter such as disruptive guests or running out of popular items. 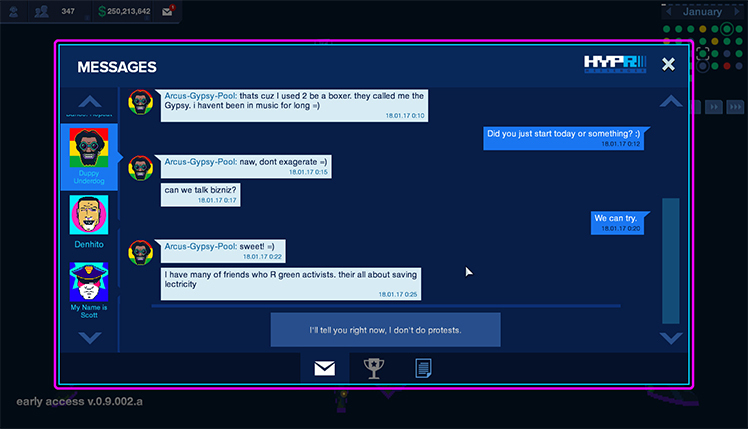 Either way, pay close attention to the color-coordinated bubbles in the interface and see what each character thinks. After all, if the dissatisfaction falls too far, the party is a bust and the game is over. The Party Hard universe is built on dark comedy. It is a little gross and definitely wild. 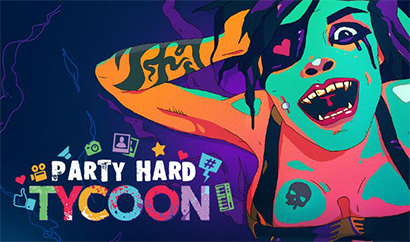 Party Hard Tycoon embraces that madness and lets the players take the reins. 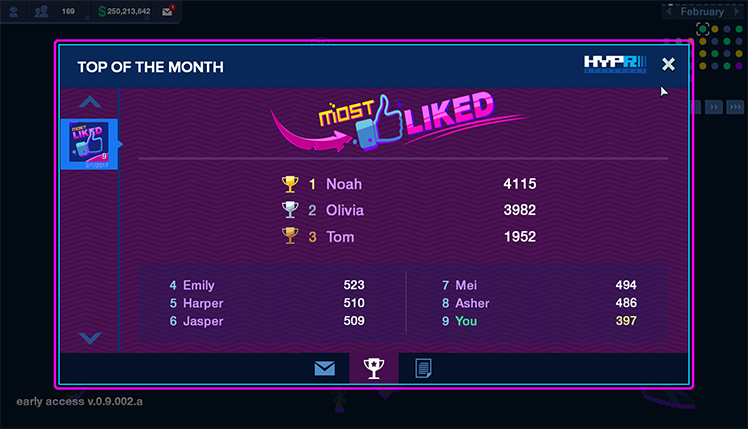 Throw an epic party with all the coolest guests. Use bouncers and maintain exclusivity or instead let everyone in for some fun. Build a unique and cozy spot rather than going crazy with lights and dance floors. 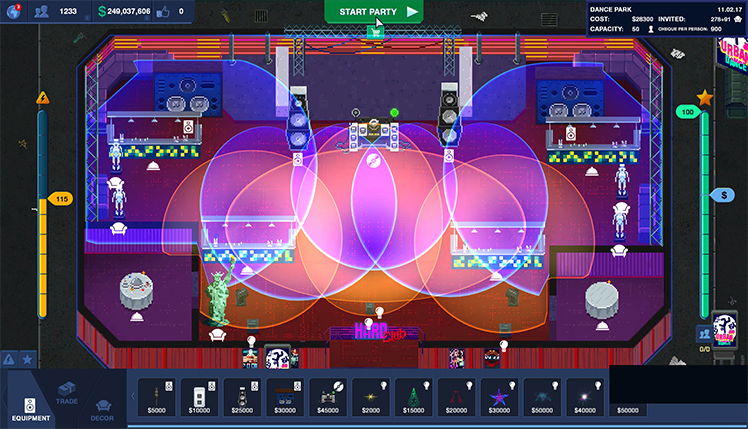 Expect the unexpected in randomized party events. 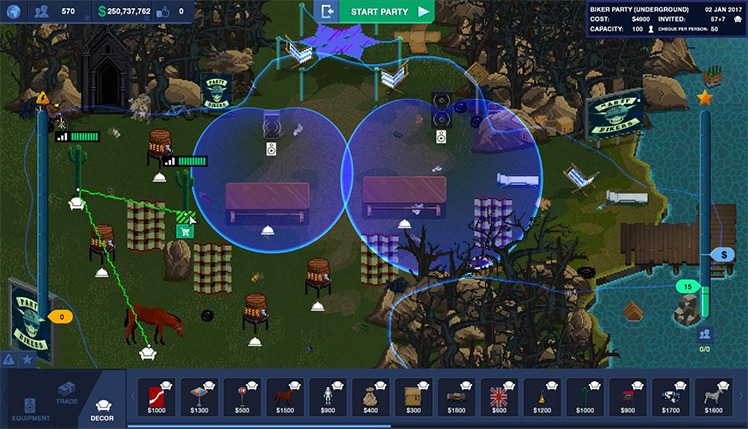 After all, however players design and set off their parties, no two are the same in this tycoon simulator. 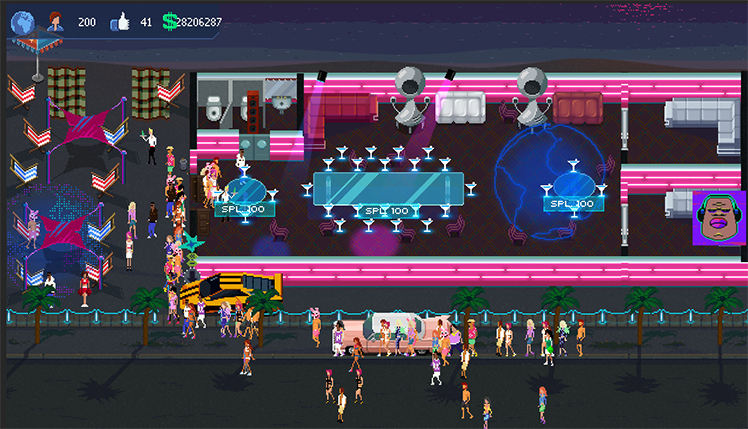 Build the ultimate nightclub in Party Hard Tycoon. Plan the most epic parties to keep your guests happy, and you will see your profits soar! © 2018, Pinokl Games. Pinokl Games logo, Party Hard Tycoon, the Party Hard Tycoon logo, are trademarks or registered trademarks of Pinokl Games. in the United States of America and elsewhere. All rights reserved.